Note: The display and/or download of this book is for personal use only and may not be distributed, duplicated, or used for any commercial purpose. At 39 pages this pocket sized book (or pamphlet) may be quick to read, but it could have a life changing affect on its recipient. John Piper wrote “For Your Joy” as an evangelistic tool to help share Jesus with unbelievers. It aims to remove the image many people have of a boring church, with one of Jesus who is calling them to come to him with joy. How can I love a God who allows so much evil? The writing is concise, biblically based and has the gospel shouting out of any page. If you want a short but rich book to give to a non-Christian this could be just the thing. To get the free pdf download simply go to the Desiring God website at this link and then select the ‘Read this book online (PDF)’ link. You can also currently purchase the book at reduced prices ($1 for 1, $0.30 each for 50 or more, $0.25 each for 300 or more) by visiting the same page. 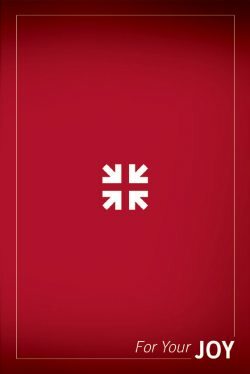 I Would Like To Get The Book By John Piper In Our Joy. I Would Like To Get The Book By John Piper Called=What Jesus Demands From The World. I have read this precious little book and highly recommend it. It is very well written and is filled with Scipture. It is concise and contains much truth, wisdom and hope. Thank you, it has been a wonderful gift to give those who do not yet know Jesus. I came across this one morning in my church and once I began reading a few words I was inspired. I love how it teaches.